Looking for a Double Carport? 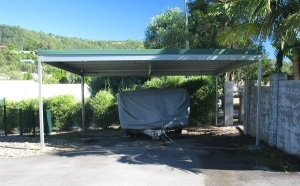 Excalibur Carports can supply you a double carport kit in all the main carport designs. The typical size for a double carport is 6 metres x 6 metres, but if you need a different size to this, please contact us and we will endeavour to meet your particular needs. Various height are available, depending on what vehicle you have – a car, four wheel drive, boat or caravan etc. 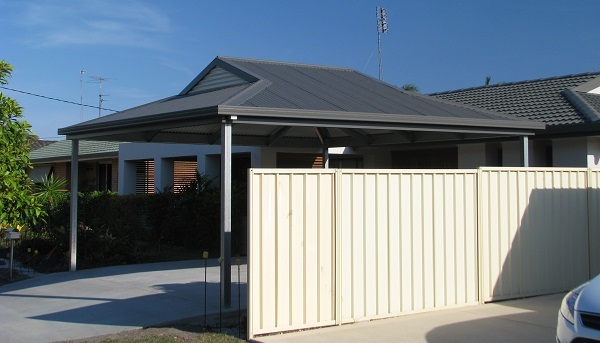 All the carports come with strong SHS steel posts, either 75mm or 100mm in diameter. They have a hi-tensile steel frame made from C-Section and use genuine Colorbond Steel for the roof sheets, flashings and guttering. The frame and posts come pre-cut and pre-punched which makes installation much easier. All the materials and hardware that you need are included. We can deliver a double carport to most areas of Australia. 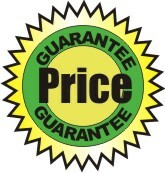 If you have any questions on double carports, please contact us or if you are after carport prices, please ask for a carport quote. 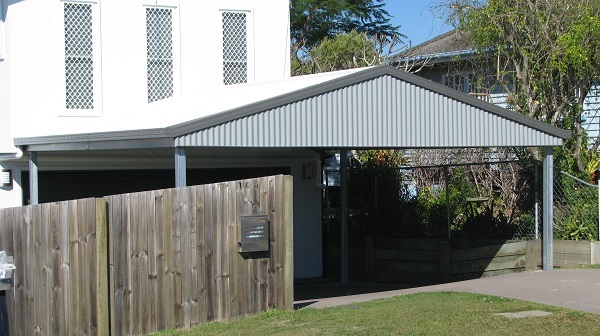 Engineering Design – firstly does the double carport kit come with the relevant site specific engineering. If it doesn’t, we would recommend that you steer clear of it as you will never be able to get it approved. 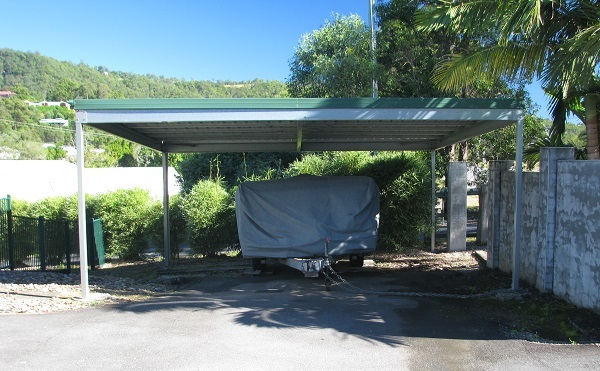 All double carports from Excalibur Carports include the engineering. Secondly does the engineering comply with current standards and wind conditions. We can supply carport kit suitable for cyclonic and non-cyclonic areas. Ease of Construction – does the carport kit come with a guide and drawings, a parts list so you can check off what you need, and can you call up if you need some technical assistance.